HomeStay FitIs It Possible to Work Out If You Are Injured? 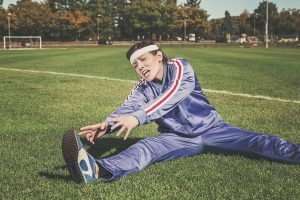 Is It Possible to Work Out If You Are Injured? Yes, of course it is. However, there are some rules and guidelines you need to follow in order to avoid bigger problems and other injuries. You are in some sort of pain, but you are not 100 percent sure whether you have a real injury. There are three types of injuries: acute, sub-acute, and chronic. Acute injury is the one that occurs immediately, such as teared muscle, broken leg, sprained ankle, etc. The main causes of acute injuries are failed warmups, bad lifting techniques, poor nutrition and sometimes even a bad luck. They can be serious and if you are suffering from one, stay away from hard training sessions. Sub-acute injury builds up over a period of time (sometimes over months, and sometimes even over a few years), such as muscle stains or tear injuries that get worse progressively. Sub-acute injuries are probably the most frustrating ones since you are still capable to work out, but not at your maximum intensity and your performance is hobbled. Chronic injuries are long-lasting and devastating and they usually include rotator cuff injuries, shoulder bursitis, tendonitis etc. These must be handled with incredible caution because you are one step away from the operating table. Follow doctor’s orders without exceptions. Also, you need to have in mind that, the older you get, the harder it is for you to recover from an injury. It is due to the fact that older tissues, fibers, and ligaments need more time to recovery time. Face it – you can’t do this on your own. You need to make sure that you don’t make it even worse. 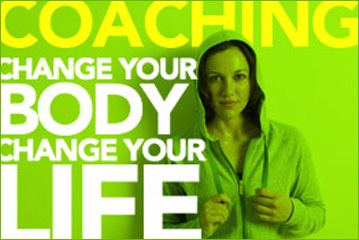 This is why you need to hire a qualified personal trainer who will make sure your recovery goes as smooth as possible. If you don’t have the time to go to the gym every day, the good news is that now there are mobile fitness companies such as Gym To You that will literally bring the entire gym equipment as well as personal trainer to your preferred venue. Unfortunately, you will have to forget about spinal loading. This means no squats, no deadlifts, no additional resistance in moves where your shoulders are higher than your hips. Basically, when it comes to free weights, you can only do bench press and body weight exercises. Wrist pain usually occurs while doing traditional pushups, knuckle pushups, front squats and power cleans with the Olympic rack. To relieve the wrist pain, try the crossed-arm rack position and concentrate on getting the bar on the front of your shoulders. Basically, the rack should touch your throat. If you have a knee injury and, at the same time, you want to lose weight, you must be super frustrated because you are well aware that you need to say goodbye to squats, jumping of any kind, lunges etc. Instead, you can opt for kettlebell swings or boxing drills. You will have to give your upper body a break. Instead, focus on lower body exercises, such as lunges, barbell squats, and sprints. High-impact moves (jumping and running) are off limits. Instead, focus on subtle ankle movements, such as squatting, as well as seated versions of upper body movements, such as overhead presses. When it comes to shoulder and hip injuries, most of the time you cannot be completely sure how well they’ve healed, so make sure go easy, test every single movement and back off as soon as you feel even the tiniest amount of pain. But the one rule that applies to all of the above: IF IT HURTS – STOP. It is not worth it. If your choice was to stay committed and still go to the gym regularly and work around your injury, don’t be a smart-arse and do things that “only hurt a little.” If you exaggerate with the exercising, the injury won’t heal properly. And yes, you may feel better while working out, but that has nothing to do with your recovery. Rather, it is the hormones, such as adrenaline and endorphin, that are sending you the premature “all-clear” sign. While you are at home and have nothing important to do, use that time to work on your recovery. And no, recovery does not mean lying down or sitting still. It means working out your adhesions and muscle spasms with equipment, such as lacrosse ball or foam rollers. It also means visiting your massage therapist, your chiropractor or yoga instructor, and your doctor. It means being considerate to your “tortured” body. There is no point in trying to artificially speed up the healing process. You are not a professional athlete (because if you were, you wouldn’t be reading this article right now) and you don’t have to take part in the Olympics tomorrow. Go easy on yourself. Be careful and stay healthy. Why It’s Important to Invest in Your Health Now!